For aspiring innkeepers, the dream of owning and operating their own bed & breakfast inn is a primary focus. 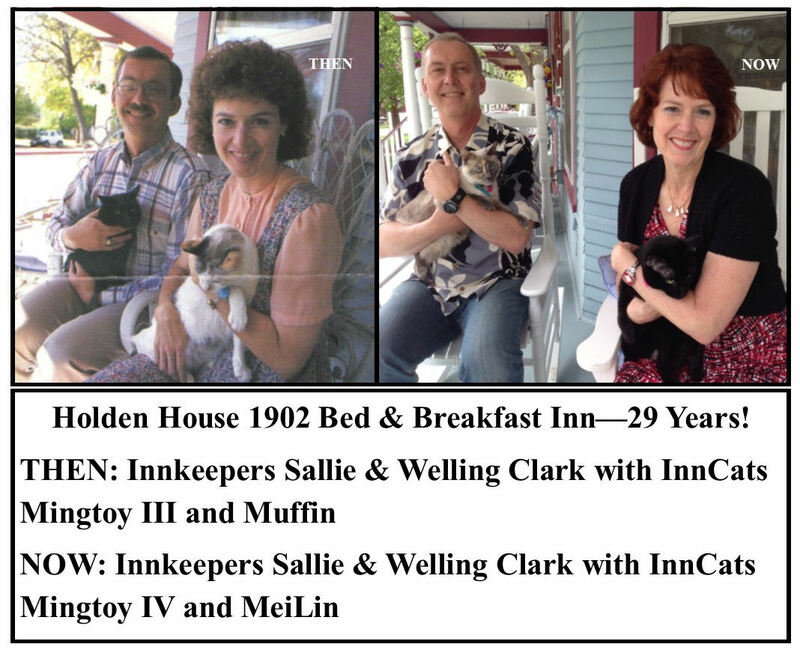 For Welling and me, owning and operating Holden House Bed & Breakfast Inn located in Colorado Springs, has become the reality of a rewarding career combined with hard work and dedication. Many people wake up one day and think, “Let’s open a bed & breakfast! It will be fun to entertain guests in our home. We can cook and clean…we can do that!”. But there’s also the business side of innkeeping. It’s not a “Field of Dreams”—build it and they will come. Maybe you’ve enjoyed staying at B&Bs and have experienced the relaxing side of the inn environment, but remember that you haven’t seen the behind the scenes work of this people intensive industry, the mound of office paperwork, the constant interruptions during the day and the piles of laundry waiting to be finished. There are many issues to consider when deciding whether the B&B business is for you. The bed & breakfast industry is very personal… personal because innkeeper hosts spend a lot of time with their guests and must be very involved with every facet of daily business operations. This deserves careful consideration. As our fellow innkeepers already know, the daily routine of an innkeeper combines early rising, cooking, cleaning, shopping, laundry, banking, bookkeeping, advertising and marketing, check-ins, reservations, management, and more! Trading the office’s eight hour, five day a week job for a bed and breakfast can seem like a great alternative, until the realization becomes a seven day a week occupation with 12-18 hour workdays and an office you can’t leave behind. But, it does have its upside, too. Meeting friends from all over the country is like being an armchair traveler. Acting as a “goodwill ambassador” by helping guests with travel and activity plans is very rewarding. Showcasing the home you have worked so hard to restore or build is a great personal benefit. The freedom of owning your own business also gives you the pleasure of not answering to anyone but yourself and your guests. Operating a B&B also offers a ‘stay at home’ business, beneficial to the single or partner entrepreneur. We feel it is important for aspiring innkeepers to get a “jump start” on their future by doing their research first. This allows you to make an informed decision regarding the property, set-up, financing, operations, and marketing. In an area with little or no B&Bs, you are the “educational B&B expert” if you’ve planned properly. One of the most difficult things today about starting a bed & breakfast inn is working with local officials. Most officials and neighborhood residents don’t understand the business well enough to know the positive effects B&Bs can have on a neighborhood. You may have to become the “B&B educator” if you’re breaking new ground. In 1986 when we opened Holden House, we were one of three professional B&B’s in the Colorado Springs area. Now the Pikes Peak Region boasts over 30, and the western states continue to see an increase in the number of new B&Bs. 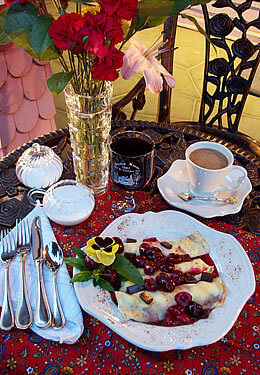 information available about starting a bed & breakfast. Since that time, great strides have been made. Today’s wealth of nationwide seminars, books and information provides the prospective innkeeper with the opportunity to learn from the experience of others. Potential innkeepers who do their homework have found it much easier to start and operate successful bed & breakfasts. The availability of start-up information and continuing education for innkeepers today will have a positive effect on the industry in years to come. Working in a bed & breakfast as an apprentice offers a reality view into daily inn operations and provides a stable research background. Financial institutions will question aspiring innkeepers as to what they know about running a bed and breakfast and what research they’ve performed before approving a bank loan. It gives you credibility when putting together a business plan and asking for financial assistance, if you can provide a solid research background. The cost that is expended on classes, publication and even on-line assistance will pay you back many times over. What we tell aspiring innkeepers is that it’s much better to spend some dollars on education ahead of time—if you open a bed and breakfast, you’ll be well prepared and if you decide it’s more fun just to stay in B&Bs, you’ll have saved time and money from the research. educational resources. Aspiring innkeepers should stay at B&B inns whenever they travel, offer to pay the innkeepers for extra consulting time and gain information on inn operations by reviewing each property as to personal likes and dislikes of features. State and local organizations create an invaluable support system regarding networking, sharing common issues, education and quality assurance. Attending state association conferences will offer a wealth of information to would-be innkeepers. When Welling and I saw the need for bed & breakfast networking in 1987, we founded Colorado’s B&B association, “Bed & Breakfast Innkeepers of Colorado” www.InnsofColorado.org and since that time, the association’s annual Colorado conference has become a great educational tool for both aspiring and current innkeepers. The educational benefits of association membership are very important to this career choice. Most state bed and breakfast associations offer affiliate and associate memberships for aspiring innkeepers and some include aspiring workshops in the meeting lineup. This provides a good support and networking base, even if you don’t yet own a B&B inn. It will keep you in the mainstream of that particular state’s B&B information network. time to research our dream before starting out. It’s extremely important for the aspiring innkeeper to consider in advance what it takes to run a successful B&B. Asking some well placed questions and doing some research will put you on the track to being great future innkeepers or just happy inngoers, depending on the final decision. Are you ready to start your own? How many B&B’s have you sold? How many B&B’s have you stayed in? 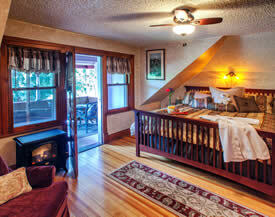 Check out www.paii.org and for a glimpse into Colorado B&Bs, visit www.InnsofColorado.org. 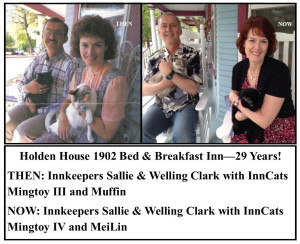 This entry was posted in accommodations, aspiring innkeeper, bed and breakfast inn, Holden House 1902 Bed and Breakfast Inn, holdenhouse.com, sallie and welling clark, sallie clark and tagged Aspiring Innkeeper, Aspiring workshops, B&B Education, Bed & Breakfast Innkeepers of Colorado, holden house, Holden House Bed & Breakfast Inn, Inn Consultants, Professional Association of Innkeepers, Sallie Clark, Starting a Bed & Breakfast Inn, Starting a bed and breakfast, Welling Clark by admin. Bookmark the permalink.